Shahir A. Batterjee is managing director of Batterjee & Bros. Co.
Interview with Shahir A. Batterjee, Managing Director of Batterjee & Bros. Co.
You are one of the oldest family businesses in Saudi Arabia. What is the outlook for family business? What are the challenges and how do you see the transformation that is happening currently in Saudi Arabia? According to EY family business report 90% of the companies in the Middle East are family-owned, generate 80% of the region’s GDP, constitute 75% of private sector economic activity, employ 70% of the labor force in the GCC – more than 67 million and control 98% of the oil producing companies operating in the Gulf region. Out of world’s 250 largest family businesses, 2% of these companies are located in the Middle East. It’s very clear that the family business in Saudi Arabia is dominant in general for the economy. The future of the family business has to be improved and developed to meet the challenges, which is technology and many other things. Most of the family business, Saudi family business is built on the fathers and the grandfathers, who did not have enough education or maybe were not exposed to technology or to the western way of dealing in large companies. The family business in Saudi Arabia has developed so large that some of the companies are multibillion-dollar multinationals. What are the challenges that you think are now happening with family businesses? The main challenge for Batterjee & Bros. Co. is the new comers into the market. And we have to develop our company which is a family business to meet those challenges in reducing cost, of course, and run the company professionally. Professionally, do you think about separating the ownership from management? Things that other companies implemented, how would you like to transform it? We are trying to impose separation of owners from running the company. It is hard because when you have the separation of ownership, then you always have the suspicions of losing the business, but we are organizing our company to be run professionally. We are trying to hire the top management, the top professionals, regardless of salaries. We don’t look at salaries as the main thing, but it’s the professionality and the knowledge that they have. The foreign reserves at the SAMA have dropped by US$36 billion, or 5%, over the past 2 months. King Salman uses the funds to fund increases domestic borrowing to fund public sector salaries and large development projects. The latest data show Saudi’s foreign reserves dropped by $16bn to $708bn in March. What is the outlook for the economy? The government is very keen on keeping the healthcare sector up to the standards. King is doing the best to improve everything in that sector. The health and social affairs expenditure accounts for 18.6 percent of the total budget, the second highest figure this year. Allocations for health and social affairs spending grew by 48 percent compared to the 2014 budget to reach $42.7 billion (SR160 billion) in the 2015 budget. Across the country, 27 new hospitals and health facilities will be built in addition to continuing construction at 117 hospitals and eight medical cities. 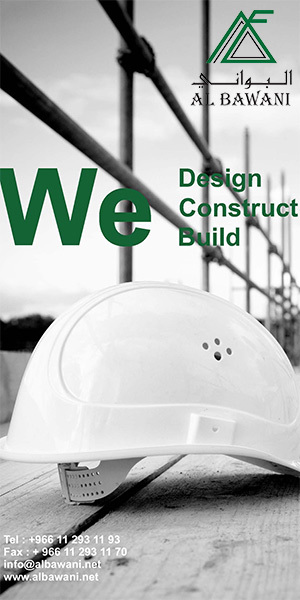 In 2014, hospital construction added more than 4,500 beds to the country’s capacity. Upon completion of all facilities currently under construction, total capacity in the country will increase by more than 24,000 beds. The budget also includes funds to build 16 sports clubs, five centers for individuals with special needs, and social welfare and labor offices. Additionally, the budget provides an $8 billion (SR30 billion) appropriation to support social welfare, special needs citizens, and poverty programs. The pharmaceutical sector represents a big trench of the spending. Batterjee & Bros. Co. deals with pharmaceuticals and instruments for diagnostics and the outlook is very positive. The government’s vision is to offer the best service, best health service to the people. In 2015 Saudi Arabia ranked 49th in ease of doing business index by the World Bank, which is a drop from the 44th position in 2014. Also, according to the World Bank’s Doing Business 2012: Doing Business in a More Transparent World report released in October 2011, Saudi Arabia ranked as the 12th most business-friendly country out of 183 economies worldwide and led the Middle East region on the list. Although down from the 10th position reached in 2010, Saudi Arabia continued to improve in a number of categories. By comparison, the United Arab Emirates (U.A.E.) ranked 33rd, Qatar 36th, Bahrain 38th, and Oman 49th. Further, the Middle East and North Africa (MENA) has a regional average ranking of 93. How difficult is to do business in Saudi Arabia? The new laws are making doing business in Saudi Arabia more difficult. From our business experience, with all the regulations, doing business is harder in 2015 than in 2011. The main factors are new regulations and competition. This relates do doing business in the healthcare sector. It is getting harder to compete and to make good or better offers. But since this war with Yemen started we did not witness any reduction in government requests. There’s no reduction. As a matter of fact, the payment of the government has improved considerably since the war started. There are many strategic challenges facing the government. One of those is the decision that must be made by the government regarding to what extent the government wants to be the ultimate provider of healthcare services versus opening the door for a larger participation by the private sector. Today, the Ministry of Health offers roughly 60% of the services, the other Ministries such as Defence and Interior, offer 20%. The private sector offers the remaining 20%. For our company, about 60% of our business is with the government. How are you facing the competition, your number one challenge? 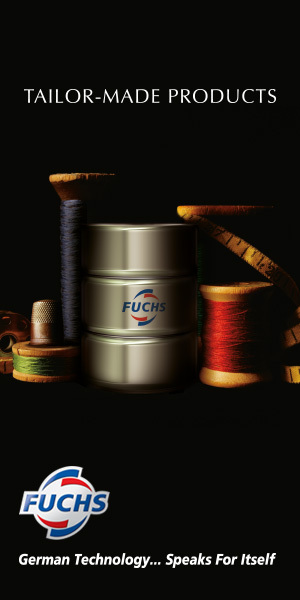 We always rely on our suppliers to reduce their prices, especially for tender business. In the private sector, pharma products are priced by the government and you cannot change it. You cannot increase or decrease it. But in the tenders, yes, we can compete considerably. It all depends on the suppliers. Can you give us a brief history of the company, talk about the evolution and your future plans? Our company started in 1908 by my grandfather, Ibrahim Batterjee, and started with importing candies and metal furniture. In 1948, my father travelled to Europe and he started the pharmaceutical business. Later on it was developed to be a healthcare business rather than just pharmaceuticals. Our strategy is to transform the company into a bigger entity, concentrating on the pharmaceutical industry, which is the future for the company. We represent one of the major companies, Bayer. We represent four of the Bayer companies and we are trying to make a joint venture with Bayer. It’s not decided yet but we’re trying to get them to invest in the country for the pharmaceutical side. That will be for manufacturing of medicine or packaging? Starting with packaging, but ending with pharmaceuticals production. Since Bayer is our partner here and we’ve been an agent for Bayer for 55 years, we like to be with them. Could you speak a little bit more about the Batterjee family? It’s one of the largest family in Saudi Arabia and maybe even in the world. There is a lot of accomplishment and the family has been in the forefront of Saudi Arabia for a long time. I am the seventh generation in Jeddah; still then, my son and my grandson. But we’ve been here for a long time. 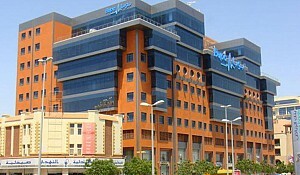 Batterjee family is one of the largest families in Saudi Arabia. Most of us are in the western region of Saudi Arabia, and we all started from one man; Ibrahim Batterjee. 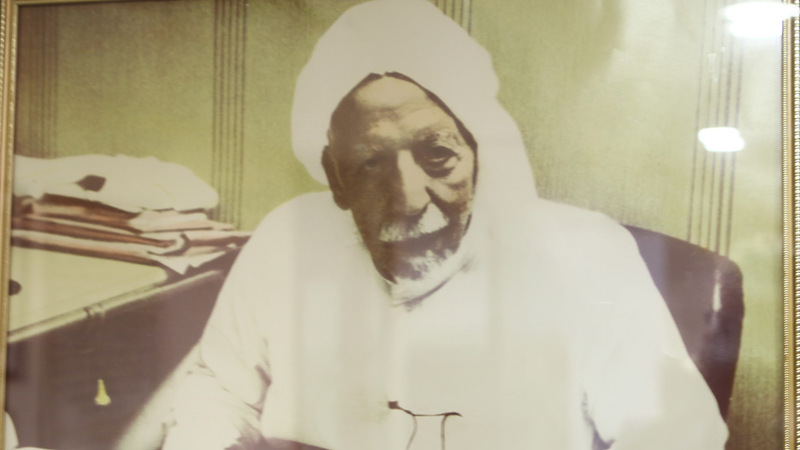 Sheikh Ibrahim Batterjee. 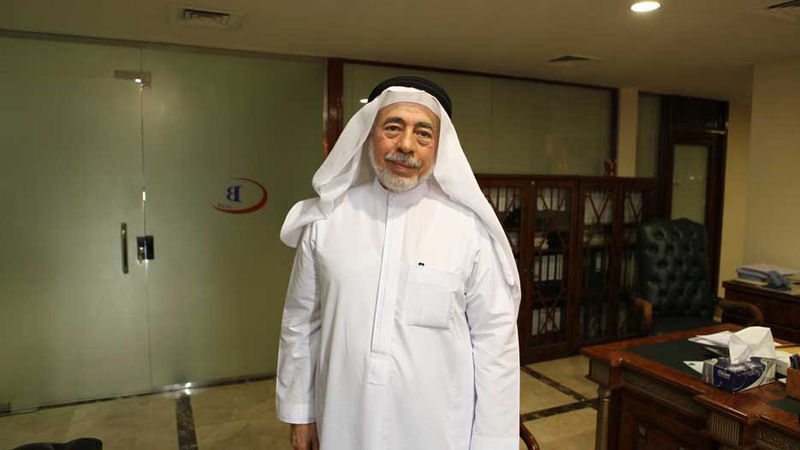 Most of the sons of Ibrahim Batterjee work in the healthcare business, whether my Uncle Abdul Jalil or Uncle Mohammad or the others, they are all in the healthcare business. 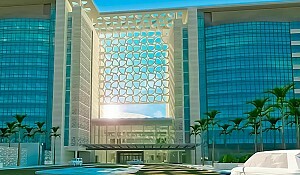 The family owns the Saudi General Hospital, and some another part of the family owns a pharmaceutical factory. We are in the wholesale of the healthcare products but we intend to go into industry. However, if you ask about the family as a whole, we are all generally in the healthcare business. Batterjee & Bros. Co. is the original company, the other companies headed by the family members emerged at later stage. Has your financial figures changed in 2015? Batterjee & Bros. Co. employs 250 people and exceeds $100 million in turnover. Have you witnessed any – what is your growth rate during the past few years and what is it going to be in the future, that will give us an indication of the health of the overall economy? Our growth depends totally on our suppliers. Whether we add a new company or our companies add new products. Bayer has added three products, which are for chronic diseases, and these are very expensive products. Bayer expects that they will reach a sale of more than 50 million. They will be launched, some have been launched and another one will be launched recently. Our forecast indicates that our turnover will reach $200 million in 2 years, because we have added a new company in the herbal products, herbal medicine, and they are very aggressive. 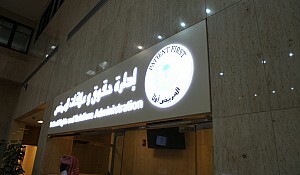 The main challenge really to introduce healthcare product in the country is really Saudi FDA. You have to meet all their regulations and specifications in order to register the product and they you’re able to import it. On your website, you also say that you want to be amongst the top 10 family group conglomerates in Saudi Arabia. Has that changed or have you reached the goal? No, not yet, but we’re trying. We’ll do it Insha Allah. We’re trying our best to do that. What is your strategy to do that? I know you want to get into the industry. Well, one of them is the industry and the second is really to add more multinational companies in our portfolio. The multinational companies, of course, they have a variety of agents that they can collaborate with, they can go with your competitors. What makes you different from other companies? I guess the long lasting history, and plus, the service that we offer to them. We have good references with – the companies that we represent, any new company will need a reference and if they contact our existing suppliers, we have very good reference. Mainly, all this is based on sales and payments, and from that we have very good reference, Alhamdulillah. Is there anything else that makes you special? All I can say is that we are very easy to make business with. We are very supportive to our suppliers and our customers, very supportive. We expect the pharmaceutical joint venture will cost our side about $80 million. We have to pay 25% and we will get a loan from the Saudi Development Bank, which represents about 50% of the total value of the investment. Our banks are ready to join with us with the remaining 25%. Now regarding this investment on your change of strategy of going into industry, can you give us why all of a sudden now, why are you thinking to change the ways? What is the original background? In reality my father has decided this long time ago, but he was insisting on having a joint venture with one of the multinational companies. But they did not agree with him. Why your father thought about this idea originally? He knew that the history or the future for the pharma business is industry. He thought about it at least 15 years ago, but due to many things, he could not do it. Why is the manufacturing, the future, in your opinion and not the distribution? The government is also now pushing for that. As a matter of fact, the government is imposing price reduction unless you manufacture in the country. Also, if you go into tender and you’re a local producer, then you get a better chance for the tender. The main thing I think is we believe that we should do it here. We want to do it here. We want to get the knowhow to the country, which no matter what it is, the future is if you get it locally done. What are some of the advantages that you feel the family business offers? Fast decisions, best saying that’s the main thing. Immediate decisions because we are three in the company now, and we can have a board meeting instantly, and have a decision made immediately for whatever. Our door is open for our companies to come at any time, which makes it a very close relation with the authorized people from the companies. How would you describe your ongoing relationship with the family? 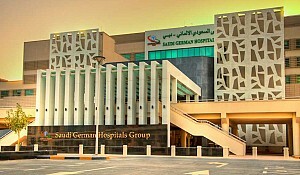 Saudi General Hospital is our client. Our relations with all the family members are very good. Perhaps a final message about the future of Saudi Arabia, what – you meet a lot of foreigners that are eyeing this market because it’s the largest economy in the GCC or this is that they don’t know about Saudi ? Saudi Arabia is unique, it is not like any other country; and no matter what you say, and you have to come to see it. 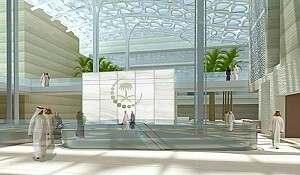 Saudi Arabia depends on the services of the foreigners or the expatriates. Saudis cannot cover the whole needs of the country. However, the government is keen to get people that are highly educated which will help in the future, but then again, you still need some workers, laborers, and technologists, and the country does not have that.